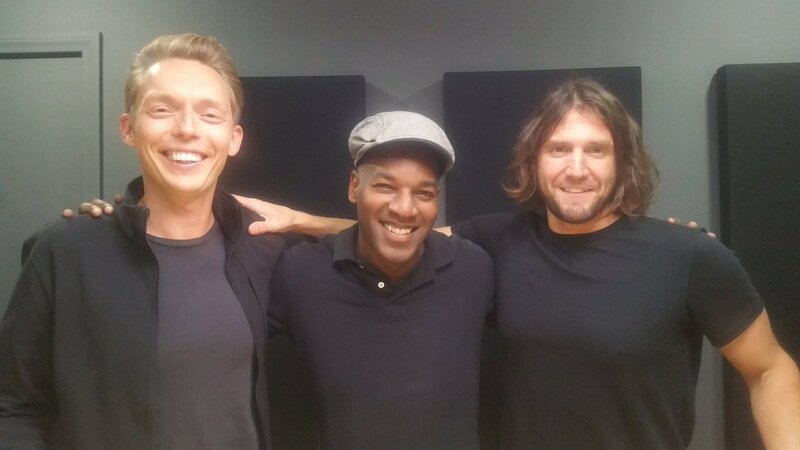 Joshua Fields Millburn and Ryan Nicodemus are two Utah Jazz fans who have a popular blog called The Minimalist. 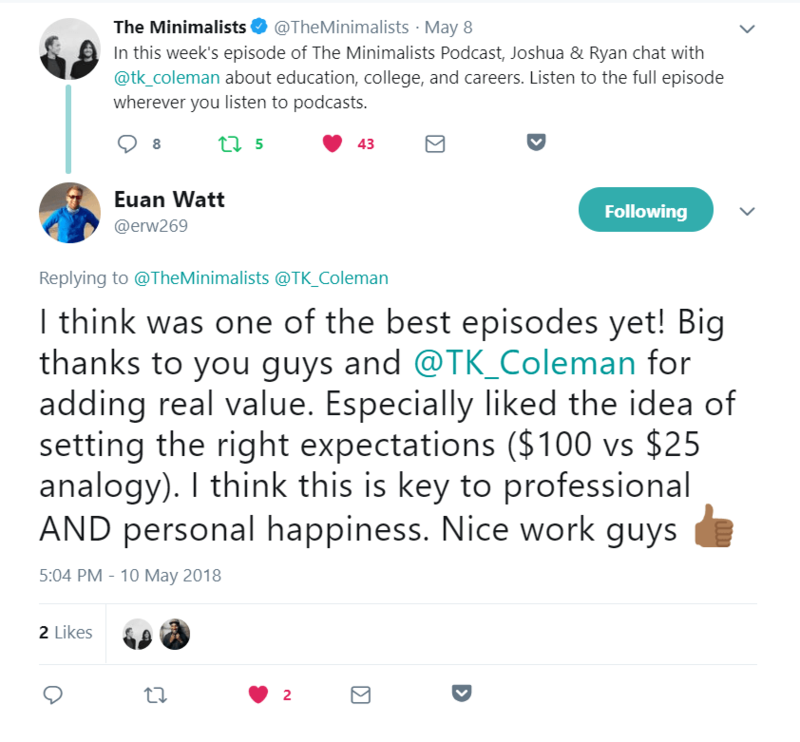 These guys are responsible for creating a ton of valuable content, from books to documentaries, about how to scale back on the things that are unnecessarily crowding your life in order to make room for the life you’ve always wanted to live. When I think about their core message, I’m reminded of a song lyric by Michael Card: “It’s hard to imagine the freedom we find from the things we leave behind.” I seriously encourage you to delve into their site to check out their work. 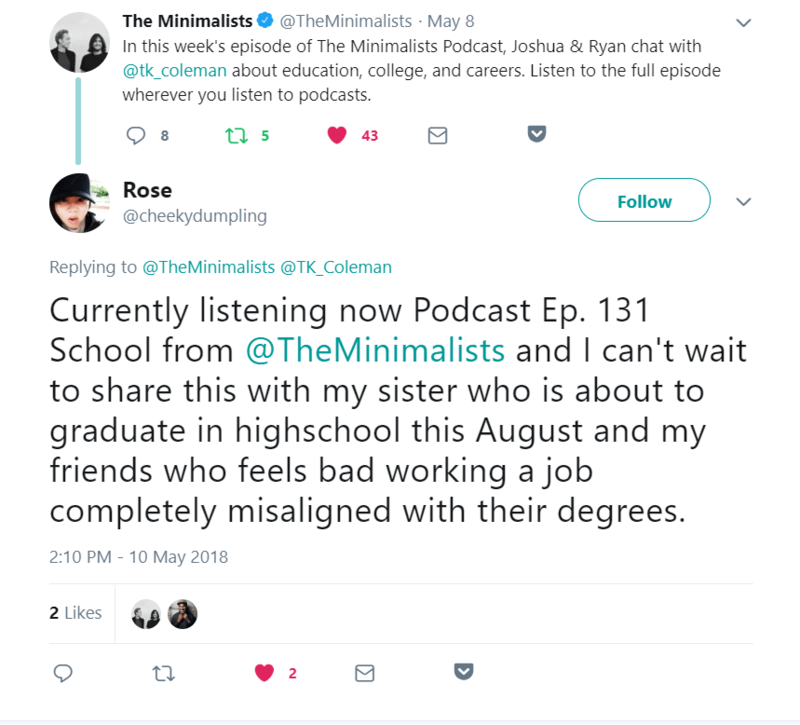 Recently Joshua and Ryan had me join them for episode #131 of their podcast. This wasn’t easy. Why? Well, I’m from Chicago and I grew up watching the greatest basketball player of all-time: Michael Jordan. And Joshua and Ryan stopped watching basketball back in 1998 after Michael Jordan did this to the Utah Jazz in the NBA Finals. Having a Jordan fan in the same studio as a Jazz fan is a recipe for danger. Fortunately these guys were big enough to set aside an old basketball rivalry and we had a fantastic conversation together. We discussed school, Praxis, tips on success, and we took time to answer questions from their listeners. Alright, that’s enough of a teaser. 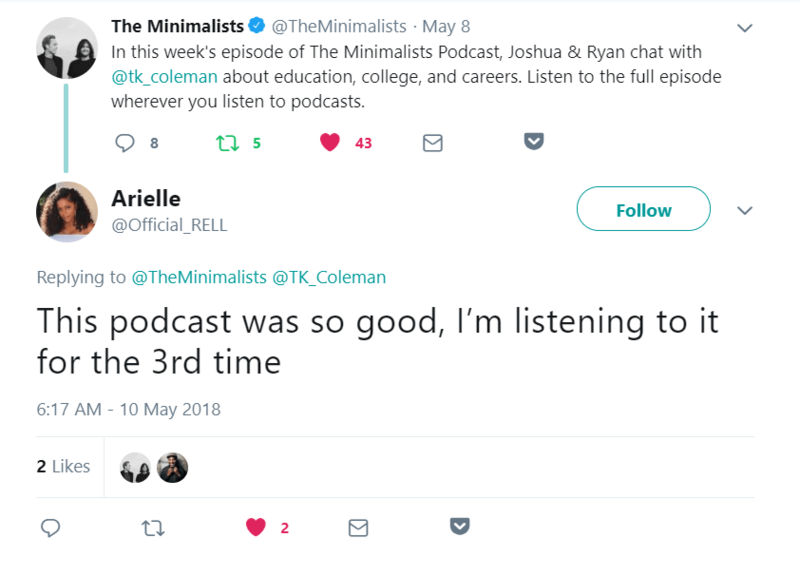 If you want to check out our conversation you can listen via the YouTube video below or you can download and find other listening options at the Minimalist podcast page here. 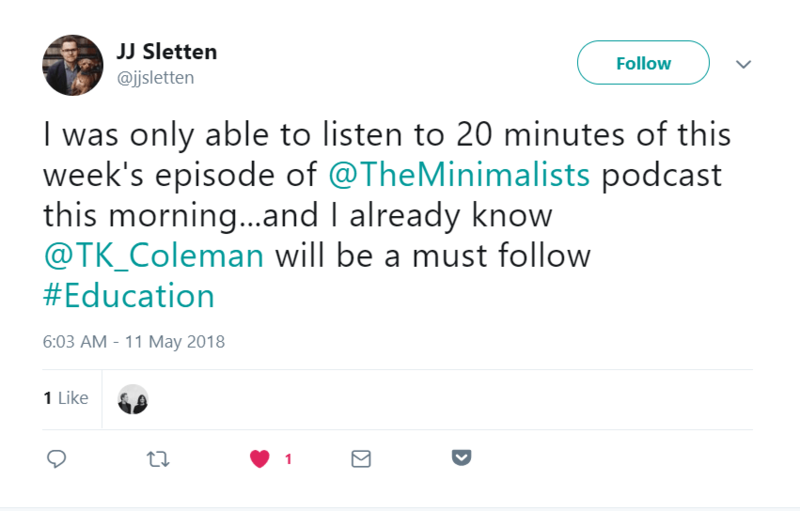 I hope you enjoy the episode. Either way, create a great day. I enjoyed this lots. Still need to get to your interviews that you sent me .